This ext needs transmission work. Price firm. 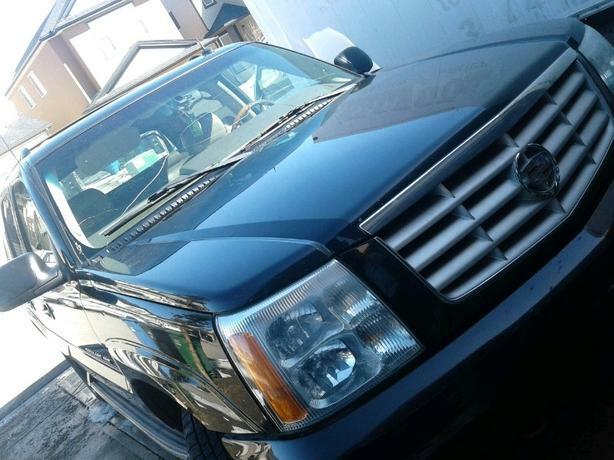 2003 luxury Cadillac Escalade ext has a 6 litre v8 all wheel drive automatic transmission traction control abs power windows locks mirrors 7 way programmable seats power adjustable pedals Bose sound system cream leather interior after market cold air intake this is a very sharp looking soft riding truck it does however require a new windshield and the heated seats are no longer working minus these issues .